Prof. Conway joined the Davis faculty in 2004. He is an experimental high energy particle physicist, and is presently engaged in two large experiments: CDF at the Fermilab Tevatron in Batavia, Illinois, and CMS at the Large Hadron Collider at CERN in Geneva, Switzerland. His main interest is the search for new particles at these high energy hadron colliders, including the search for the Higgs boson and new heavy quarks. With the new large data samples at both experiments, discoveries may happen very soon. 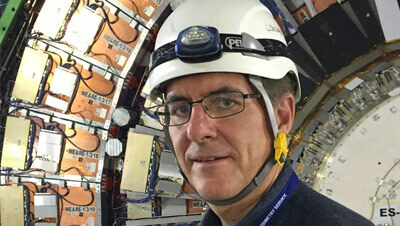 Prof. Conway is the principal investigator for the collider physics group at Davis, which comprises over 25 active researchers (faculty, senior researchers, postdocs, and graduate students), funded by the US Department of Energy. Teaching Award, Rutgers Society of Physics Students, 1998. European Physical Society High Energy and Particle Physics Prize, for an outstanding contribution to High Energy Physics, awarded to the ATLAS and CMS collaborations, “for the discovery of a Higgs boson, as predicted by the Brout-Englert-Higgs mechanism”.